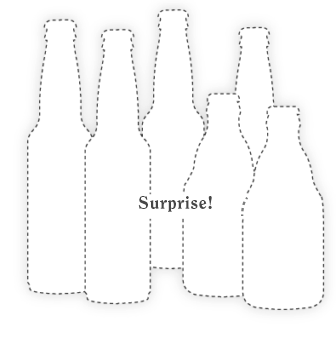 Subscribe to receive some of the world's finest beers! 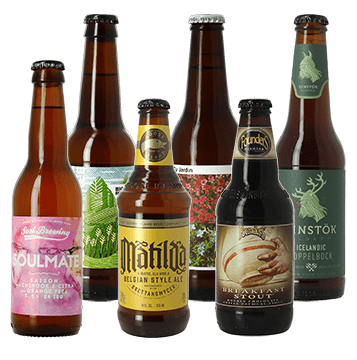 Each month, receive a box filled with our passion for hops! days left to register for May’s Discovery Box ! Receive your first box at the beginning of the month! 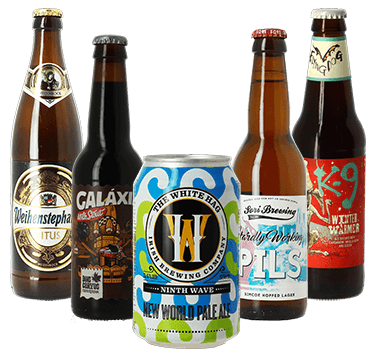 Launched just a few years ago, The White Hag from the sleepy backwater of Ballymote in the Republic of Ireland is one of the new breed of Irish Craft Breweries carving out a name for themselves in a market traditionally dominated by a single world-famous brewery. These giant-slayers take their name from the White Hag – Celtic mythology’s Mother Nature - responsible for creating land, sea and, most importantly, water – a key component in White Hag’s quality range of beers. 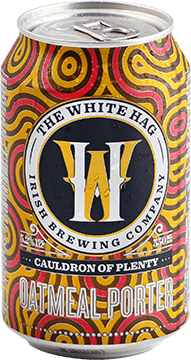 Using only the finest ingredients available, The White Hag continues to place its mark on a range of traditional artisan ales, each with a character of its very own. Stop your subscription whenever you want! 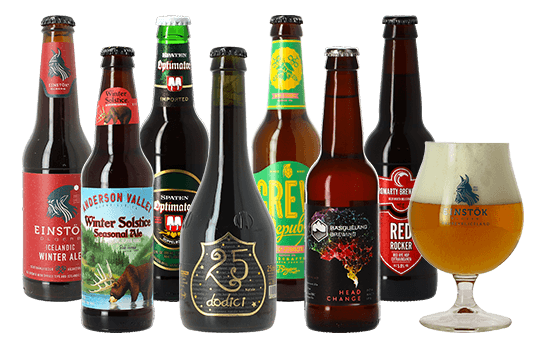 7 international beers plus 1 collector's glass every month. Who will receive the subscription? WHO WILL RECEIVE DISCOVERY BOX? Who will receive the Discovery Box? How would you like to receive your Box? What address should I send the invoice to? Easy, secure payment with VISA and MasterCard. When will I receive my first Discovery Box, and subsequent Boxes? Your box will be sent during the first week of each month following the confirmation of your order. Sorry, but we can’t send you boxes from previous months. Do I pay monthly or annually ? When you choose your subscription, you can choose €26 to be debited from your account on the 15th of each month, or one payment Credit Card payment of €260 for the whole year (two months boxes free). If you are sending the Box Découverte as a gift, you pay the total cost by Credit Card for the length of subscription you chose. Can I change my address during my subscription ? You can cancel your subscription at any time. Just send an email to contact@saveur-biere.com before the 10th of the month to cancel your subscription the following month.